You’ve got plenty of time for reading over the Christmas break and you want to catch up on something interesting? 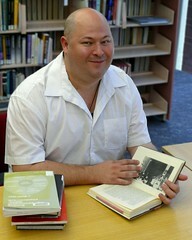 You have the Kris Kringle for that difficult relative and think that a fun book might be just the thing? Never fear – Walter’s 2015 list of the best books is here. Live Your Bliss by Terry Cole-Whittaker – self-help with a capital S, Cole-Whittaker’s eccentric and wide-ranging book is exquisite and thrilling, and is the perfect thing to read at the new year. 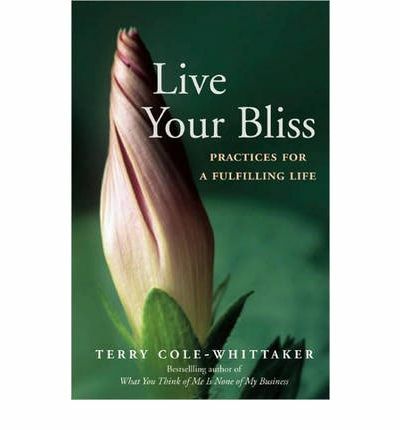 Unapologetically spiritual in focus, it is also completely accessible to even the most hardened materialist. I finished this book a much better person than when I started it, and I hope you give it a chance to change your life too. Jane and Prudence by Barbara Pym – Every time I read a Barbara Pym novel I fall more and more into her tiny, elegant world of exquisite social anxiety and church flower rotas. 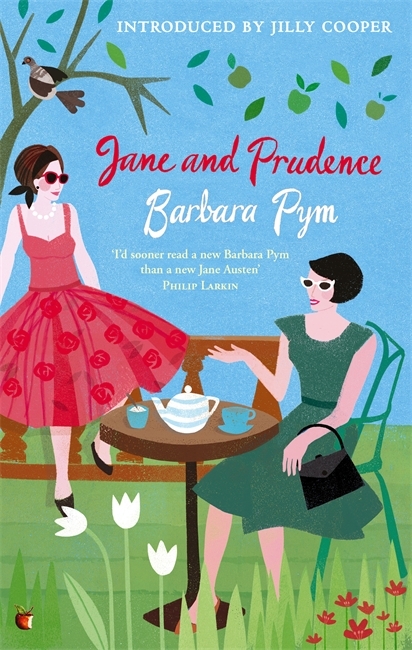 This is possibly the best Pym novel, in which two old university friends maintain a difficult friendship though both have gone on to quite different lives. The glamorous spinster and the frumpy vicar’s wife who together attend literary afternoons and garden parties and incur the disapproval of almost everyone. Oh, what a delight! Read this and see why Barbara Pym is a cult. Walking Home by Sonia Choquette – The famed psychic and intuitive has her marriage dissolve and so she goes on the Santiago de Compostela and her life is changed forever. This is not at all as clichéd as I have made it sound – it is a constantly compelling spiritual travelogue with a completely unexpected outcome. 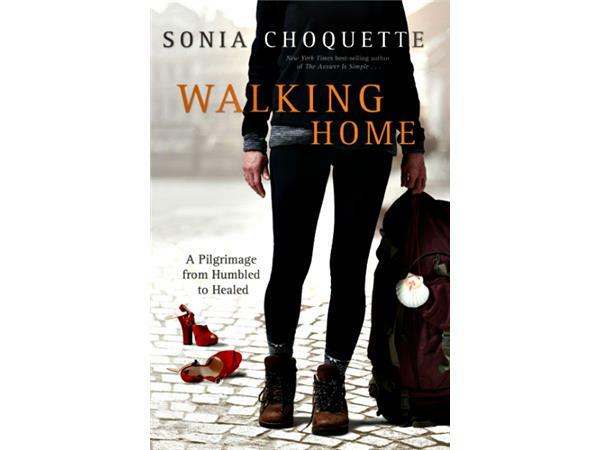 Choquette is not afraid to let herself look silly and spoilt, and she is completely honest about the pilgrimage and her up and down moments of spiritual awareness. To read while you are on holiday, anywhere. Can't We Talk About Something More Pleasant? By Roz Chast – Chast is the New Yorker cartoonist whose slightly crazed characters have frizzy hair and unkind noses and are always skirting the edges of neurosis. 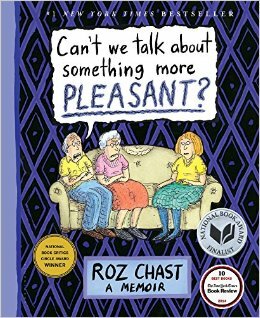 In this book Chast has written a memoir of her parents ageing and death as a comic strip, and it is simply superb. A must-read for anyone reaching this stage with their own parents, it is sensitive, clever and naturally sad. Very funny too, in parts. In fact, this is a masterpiece. The Art of Asking by Amanda Palmer – Just the most inspiring book I have read all year. I have no interest in Palmer’s music, but heard her interviewed on a podcast and she was so engaging I got the book. From the start it is fascinating, a kind of manifesto of creative vulnerability and one that I think all writers, musician, artists and creatives need to read as soon as possible. Amanda is my new guru. Masters of Wisdom by Edward Abdill – Have you ever encountered the Ascended Masters? These figures, ubiquitous in New Age circles, are mysterious and all-knowing. 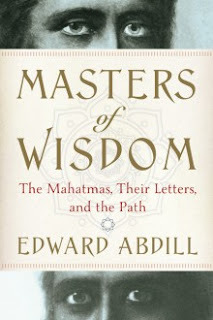 Abdill has produced a really fascinating and constantly readable piece of occult history which looks into the beginnings of the Theosophical movement and the universality of the idea of the great masters who live removed from the earth but somehow influencing its changes and shifts. A great one for history buffs and students of the history of religion and spiritual ideas. And, most importantly, a rollicking good read. 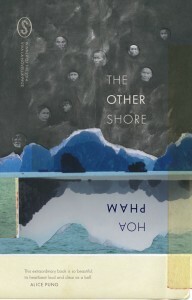 The Other Shore by Hoa Pham – Australian writer Hoa Pham won the Viva La Novella prize with this one, and it is a mysterious, lyrical and exquisitely crafted piece of fiction that appeals to the reader’s cleverness and sense of mystery. The story of a Vietnamese teenager who can commune with the spirits, in a community that is uncertain about the old ways and afraid of the new. Intriguing stuff from a great talent.